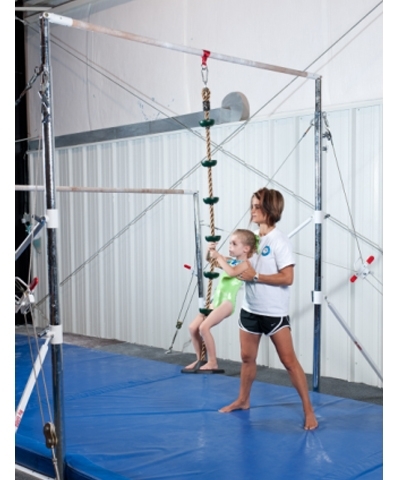 Combination swing and climbing rope. The Preschool Monkey Vines Climbing Rope and Swing features 3/4" heavy duty polypropylene rope, 6 green plastic climbing steps and swing seat. 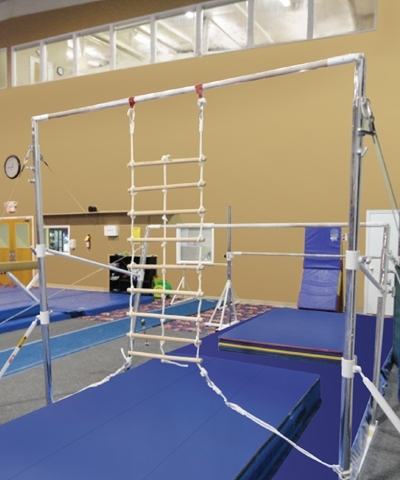 It is designed to hang from gymnastics uneven high bars or horizontal bars with our easy on-easy off bar girth strap. This Climbing Rope Swing requires adult supervision. 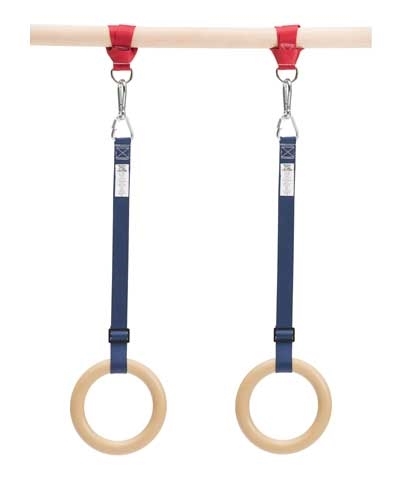 Never use the Climbing Rope Swing without a minimum of a 12 cm thick gymnastics landing mat underneath.